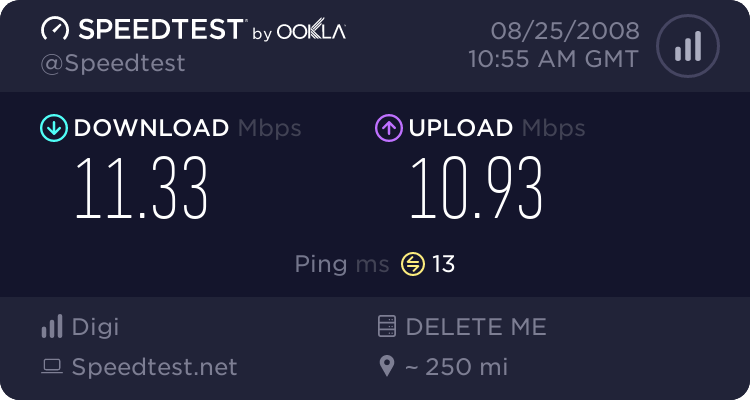 In Bucharest 10mbit symmetrical connections! What about Virgin Media? The UK fibre optic mother of all broadband? Almost 20 mbit down, but not hardly half a mbit up? Since when is fibre optic asymmetrical?! 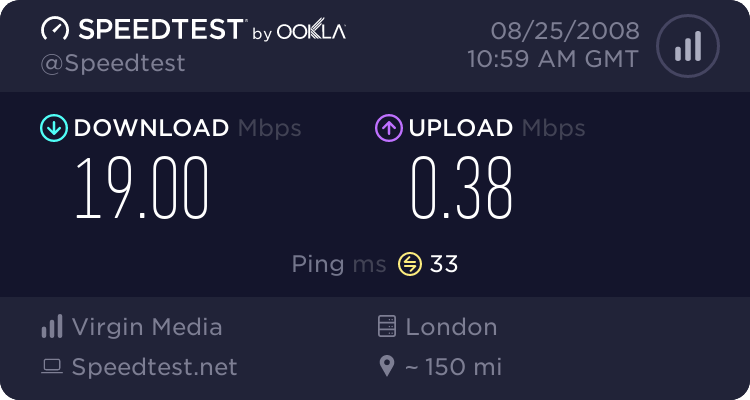 Finally, what’s the speed in the Regus serviced office from where I work? Checkout the European internet speed statistics. 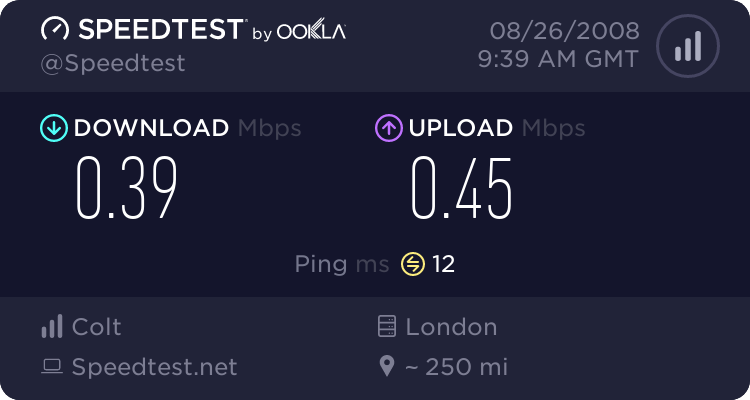 Can’t find UK in the top EU countries by download speed, can you?